Following its recent recognition by the Zero Discharge of Hazardous Chemicals (ZDHC)Programas a partneringwastewater testing laboratory, Hohenstein now offers customers the security of ZDHC-compliant manufacturing. As an internationally accredited testinglaboratory, service provider and research partner of the textile industry, Hohenstein is thrilledto further support the objectives of the ZDHC and the ZDHC Roadmap. Hohenstein now uses its expertise as a ZDHC partnerlaboratory to offer wastewater testing. Like Hohenstein and the OEKO-TEX® Association, the ZDHC has the goal of significantly reducingor completely banningthe use of harmful chemicals in the production process of textiles, leather and shoes. By testing wastewater values, Hohenstein supports the industry on the path to reduced emissions. Hohenstein has been a member of the ZDHC and its laboratory working groupsince December 2018. Chemicals can be tested for ZDHC MRSL (Manufactured Restricted Substances List) con-formity using ECO PASSPORT by OEKO-TEX®. 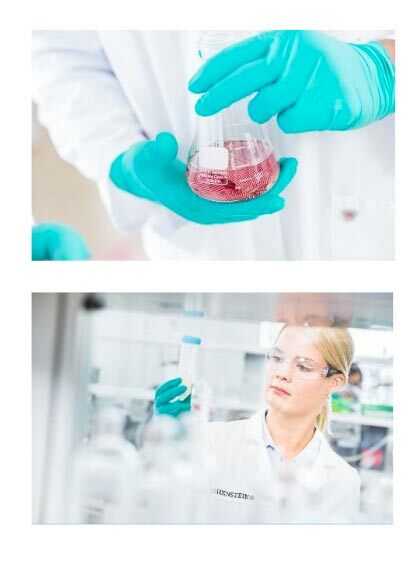 As a test and research laboratory, Hohenstein already has many years of experience of handling chemicals in the textile industry. In this sense, as a new waste water testing laboratory recog-nised by the ZDHC, Hohenstein is also pleased to be able to support the objectives of the ZDHC and its roadmap in this regard. Hohensteinlaboratories are available to all manufacturing companies interested in having their value creation chain checked for ZDHC conformity. Please contact sales@hohenstein.de with any questionsor visit http://www.roadmaptozero.com for further information.